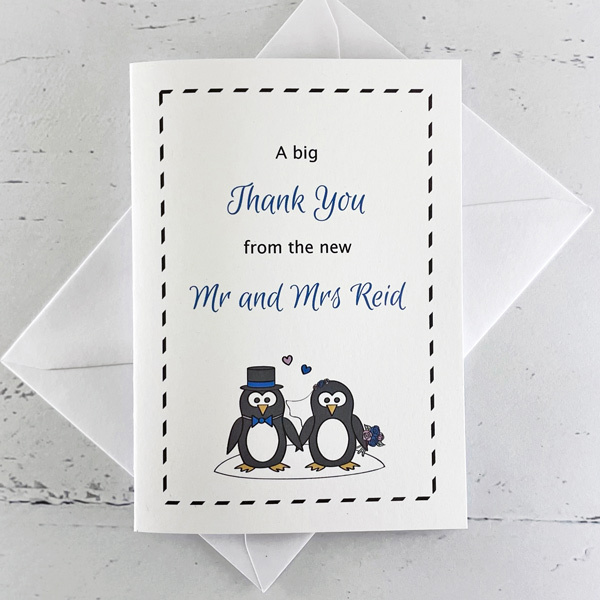 The Penguin wedding thank you card is an ideal way to thank wedding guests for being at your wedding and/or contributing a gift. 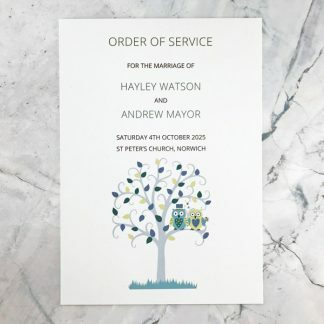 It can also be given to those who helped with your wedding day, such as the wedding party, parents and suppliers. The design co-ordinates with the Penguin wedding stationery range. 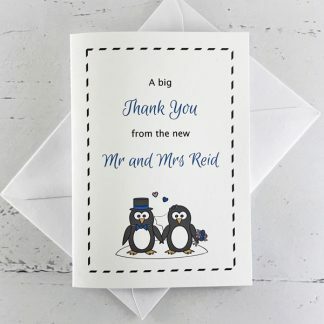 This penguin themed wedding card is a greetings card, measuring 10.5 x 14.8 cm (A6) when folded. 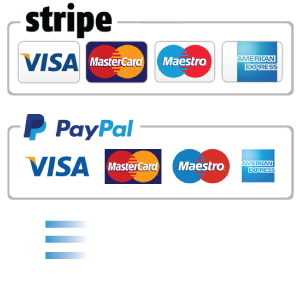 The card is made from high quality 300 gsm white or ivory card, with a smooth or textured finish. The design is printed using pigment ink, which is smudge proof and splash resistant. The Penguin design is based on any two colours, which your can choose from the wedding colour chart. 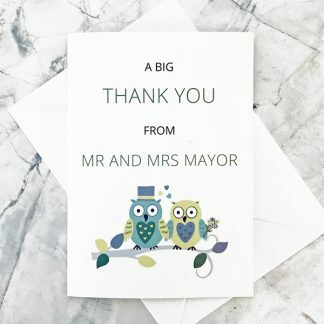 For a small additional cost you can have a message printed on an insert sheet which is attached to the inside of the card. 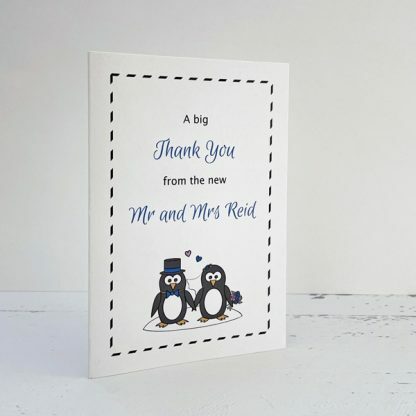 I will contact you to ask for the text you’d like to go on the front of your Penguin wedding thank you card, and will send a jpeg proof so you can check everything prior to printing.